Nearly 1 in 3 (ages 2-19) are obese in the United States. PE hardly exists in our school systems anymore. 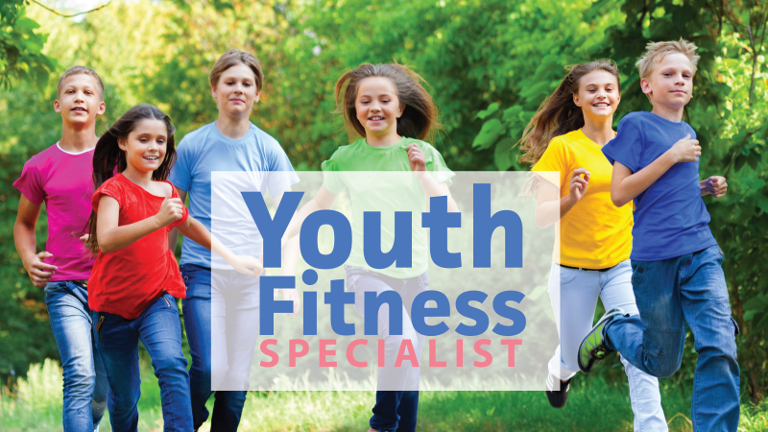 Our goal is to provide fitness professionals with the knowledge, skills and abilities to safely and effectively work with youth. 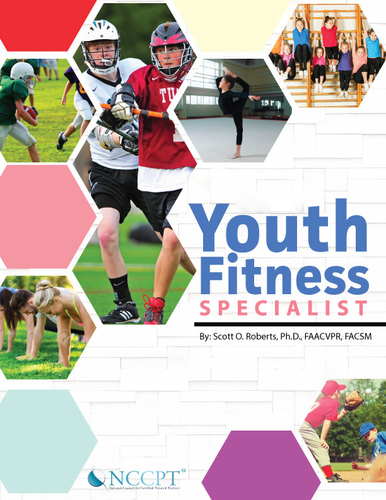 A physical fitness specialist works to effectively plan, design, implement and monitor safe and effective exercise programs for youth. If you would like to take the exam and do not need any study materials, choose YFS Exam Only. For optional study materials, choose from the packages below. Strength and cardiovascular development in children and youth. 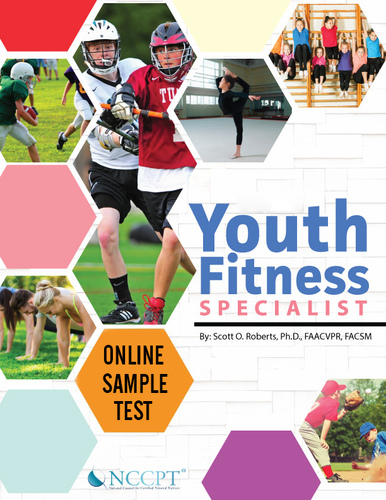 This Youth Fitness exam is given via a live proctor through www.passmyexam.net. Proctor fee paid at time of scheduling. Students must take the online exam through Pass My Exam. Please click here for specific exam information. You will be given 120 minutes to take the 88 question exam. Scott Roberts was born and raised in Northern California. He received his Bachelor of Arts degree in Exercise Physiology from California State University, Chico in 1986. In 1988 he received his Master of Science degree in Exercise Physiology from California State University, Sacramento. Prior to starting his Ph.D., he worked at Roseville Hospital and CHART Sports Medicine Clinic, both located in the Sacramento area. In 1995 he received his Doctor of Philosophy in Exercise Physiology from the University of New Mexico. Prior to coming back to Chico State, Scott taught at Texas Tech University in Lubbock, Texas and at Central Washington University in Ellensburg Washington. His primary area of expertise is in Clinical and Pediatric Exercise Physiology. 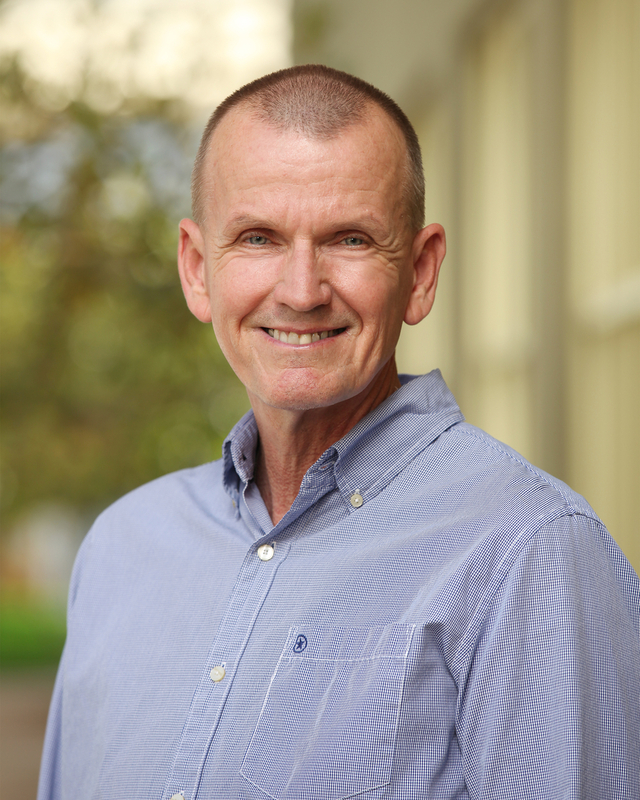 Prior to coming to William Jessup University he served as the Program Coordinator for the Exercise Physiology Program and Chair of the Department at C.S.U., Chico. He is a fellow in both the American College of Sports Medicine and the American Association of Cardiovascular and Pulmonary Rehabilitation. He is currently Professor and Chair of the Kinesiology at William Jessup University. His current interests include Faith-Based Fitness and Wellness and Youth Fitness. He is the current Past-Chairman of the Board of Directors for the local American Heart Association and a former member of the national Board of Directors of the American Association of Cardiovascular and Pulmonary Rehabilitation. Scott has written numerous books, chapters, and articles on topics ranging from strength training for children and adolescents to exercise guidelines for pacemakers and AICDs.